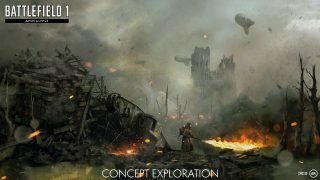 Prepare to enter a living hell as you descend into the bloodiest battles of The Great War. Claw your way out of deadlock struggle, where Allies and Central Powers unceasingly clash with no end in sight. Plunged in dugouts or hidden behind debris, use the scarred battleground in a desperate attempt to survive this nightmarish war. This is how the world ends. This the apocalypse. 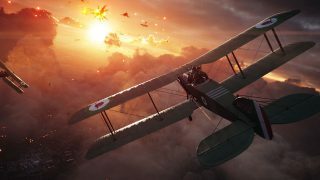 Battlefield 1 Apocalypse delivers more maps, new weapons, vehicles, a new gadget, and a bunch of improvements. Although, thematically it’s filled with hopelessness, we poured a lot of our passion and love of Battlefield 1 into this final expansion pack. 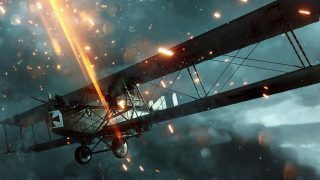 *Battlefield 1 Premium Pass and Battlefield 1 Revolution owners will be able to access Battlefield 1 Apocalypse with a two-week early access. The Battlefield 1 Apocalypse update is a required download for all Battlefield 1 players to play online. 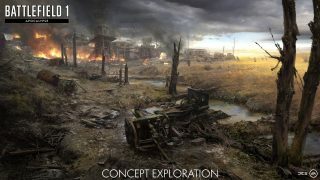 This has several benefits, including that players who don’t yet own the expansion will be able to watch Battlefield 1 Apocalypse matches through Spectator Mode and will be able to experience the new maps via Battlefield 1 Premium Trials or Battlefield 1 Premium Friends when they are active. The Austro-Hungarian forces have bombarded the Italian army with toxic gas to gain a foothold in the village along the Isonzo River. Dive behind the Castle Ruins of the old world or the craggy rocks of Blood Creek, dodging Cavalry and motorcycles alike, while keeping one hand on your trusty gasmask to fend off the barrages of the Livens Projector. Fortify Capello Grove, near the war-torn bridge, and gain access to several artillery guns to push back enemy forces. After continuous artillery shelling, all that’s left is muddy terrain, littered with debris and rubble where buildings and trees once stood. Surrounded by a blazing forest on one side and putrid gas on the other, British and German soldiers contend over fallen tree trunks and sunken tank husks in the Augustus Wood. Duck into deep trenches, cutting across the territory to find shelter in the crumbling walls of Edwards House. Storm the high ground to control Zonnebeke Church and take cover behind the stone skeleton that remains. British troops have dug in with a trench network that cuts through the golden wheat fields, opposing German dugouts carved into the earth just a few hundred meters away. 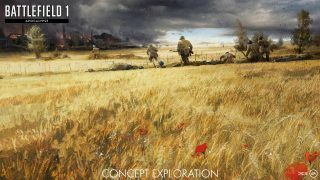 Follow tactics of trench warfare and take possession of the Marsh Landing, prepare for the final push beyond the river. Just past the treacherous Hill 21, you’ll find only death and destruction at the site of the Sugar Mill, the latest victim to a never-ending British artillery barrage. Top pilots take to the skies above the towering peaks of the Alps. In freezing conditions and high altitudes, flying aces attempt to outmaneuver other single-seat fighter planes as they engage in deadly dogfights. Use aerial cunning and tactics to defeat the enemy and claim your place as a knight of the sky. Battle among the clouds, high above the British capital. Aircraft of all types collide in this cataclysmic conflict. Using the superior speed and maneuverability of Fighter planes, tail your enemy and lay down fire to bring down attackers. 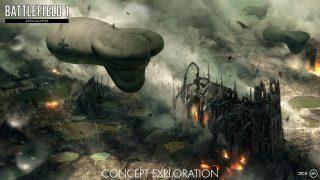 Tactical bombers line high in the sky to drop overwhelming payloads on unsuspecting airships that are armed with anti-air armaments, laying waste to circling pilots in this clash between titans. 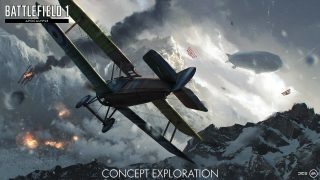 A re-imagining of Air Superiority, players will engage in stunt-laden dogfights using the many aircraft available in Battlefield 1. Whether you’re spinning among your enemies in Attack biplanes, or offering support as a gunner, flying aces and novices alike can contribute to their team’s success. As enemy crafts fall from the skies, teams will earn points. Each aircraft type varies in the awarded score, successful players will focus their attention on the big payouts. You may join a match with a Behemoth, move quickly to remove the threat and secure victory. Expanding the aircraft armada, we’re introducing two new bomber planes that are not only in this expansion pack but fitted into older maps as well. The British Empire is equipped with the Airco DH 10 Bomber plane, while the Austro-Hungarian Empire and Ottoman Empire have access to the new Hansa-Brandenburg G.I. bomber. Horses are equipped with a gas mask in Battlefield 1 Apocalypse maps, protecting them from the onslaught of toxic gas attacks. 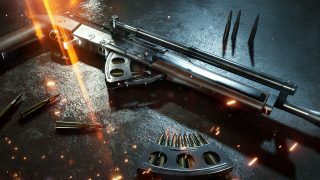 Gain access to the new guns in Battlefield 1 Apocalypse through all new weapon assignments. Everyone who has Battlefield 1 Apocalypse will immediately find the gruesome Meat Cleaver in your melee inventory, alongside the improvised grenade as a grenade option. Unlock the Prybar by collecting puzzle pieces in Battlepacks. 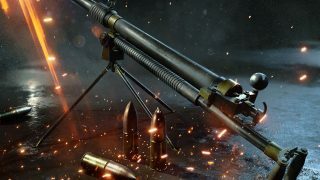 Assault Class soldiers will now have a counterattack to airplanes with the AA Rocket Gun. Equip this in your gadget slot and launch a flak cloud to impair your flying enemies. 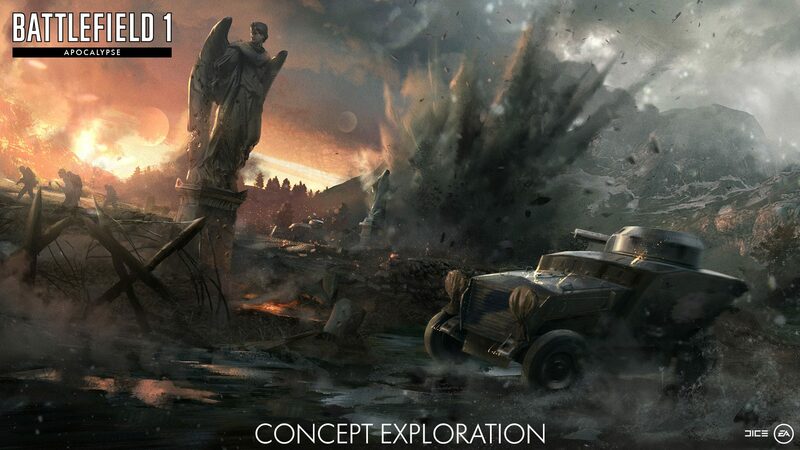 Take advantage new Specializations that are immediately available in Battlefield 1 Apocalypse. Useful for players that rely on spotting and serves as a counter to Quick Unspot. Designed for players that wish to stay quiet whilst navigating the battlefield, with the added benefit of being more aware of their surroundings. Very useful in maps featuring a lot of water. Whilst we’ve been attempting to make Weapon and Service Assignments more approachable for more players, skilled players might be slightly missing a steeper challenge. Afflictions are meant to fill that void; offering an added challenge that is completely voluntary but can be worn as a badge of honor (since your victims will now see your active Specializations on the Kill Card). Afflictions are available only after completing 3 Service Assignments in the first tier (Getting Started) and 5 Service Assignments in the second tier (Staying Focused). Afflictions are required to unlock some truly unique Dog Tags. Death Toll was designed for the player that’s always at the top of the leaderboard. Points aren’t deducted until you go to the deploy screen, so you can still avoid the penalty by being revived. This one is for sneaky players looking for an added challenge. Enemies need to initially spot you for the Affliction to take effect, so you can be extra careful and remain unspotted. Players that like to be in the thick of it shouldn’t notice much of a downside to this one, either. Make each shot count and keep an eye out for dropped kits. Frequently switching kits on the fly creates new challenges, forcing you to quickly adapt to an ever-changing battlefield. Since you are constantly taking damage you are always considered in combat, so you won’t be able to heal while the Affliction is active. Make sure to get a kill when health is nearby for maximum efficiency. The gas mask limits visibility and prevents aiming down sights, but at least you’ll be safe from any deadly gas. Fixed an issue where some weapon skins would not show up on the kill card. Players can now map the transport vehicle self-repair key bind. Fixed an issue where PS4 would not display tooltips for deployed gadgets. The artillery barrage zone mini-map UI now properly supports custom colorblind settings. Revised the end of round statistics that are displayed at the end of each match to better reflect how the final score was reached. Reduced the ability to ‘magdump’ the Ribeyrolles for very long ranges and increased the effectiveness of burst fire. Decreased the first shot spread multiplier of the Ribeyrolles from 4 to 3. Increased the horizontal recoil of the Ribeyrolles from 0.16 to 0.33. Improve the consistency of the Automatico at mid-range. Decreased the horizontal recoil of the Automatico from 0.6 to 0.4. Decreased the first shot recoil multiplier of the Automatico from 2.8 to 2.4. Fixed an issue where the Sjögren Inertial was firing one more pellet than intended. Aligned the SMG 08/18 performance closer to its real-life counterpart. Reduced the Maschinenpistole M1912/P.16’s vertical recoil slightly. Fixed an issue where AT Grenades would sometimes bounce off vehicles without exploding. Cavalry can now heal themselves and their horses, through bandage pouches, without having to dismount. Cavalry units are more resistant to damage while mounted. Increased the damage to tanks from a ricochet hit, by changing the ricochet angle damage modifier on tanks from 0.1x to 0.5x. Changed the shells fired by the Artillery Truck to heavy shells like the Landship’s mortar. Fixed an issue where the sights of the SK45 Coastal Gun could be knocked off center by heavy impacts. Fixed a bug where the Tank Hunter Rifle, Tank Hunter Landship Package, and Tank Hunter Attack Plane Package could destroy other planes in one shot. Improved the handling of the Heavy Bomber. Reduced the rate the Repair Tool is able to repair the Heavy Bomber. Made changes to the Heavy Bomber to improve the effectiveness of the Strategic Bomber Package against infantry. Increased the blast radius of the Heavy Bomber’s Cluster Bombs from 7 to 12 meters. Fixed an issue where the Heavy Bomber Cluster Bombs occasionally had a safe zone within the blast radius. Switched the Heavy Bomber’s Flechettes to twin HE Autocannons. Fixed an issue where the bombs of the Caproni Ca5 would remain on the bomb racks after being dropped. Adjusted the aim constraints on the Caproni Ca5 rear gunner. Adjusted attack plane throttle settings to increase their minimum speed slightly, reducing the time pilots have to line up attack runs on ground targets. Significantly increased Fighter Plane Incendiary Rounds damage to airplane wings/engines. Significantly increased the accuracy of Fighter Plane Incendiary Rounds. Fixed an issue where bombs on attack planes would not disappear from the bomb racks after being dropped. Improved the destruction FX on the C-Class Airship. Fixed an issue where the seat layout information was not displayed correctly when customizing the C-Class Airship. Fixed a weapon description which provided an incorrect bomb count on the C-Class Airship. Fixed an issue where certain vehicle weapons, like torpedoes or Le Prieu Rockets, could do double damage to other vehicles. Reduced the maximum range of torpedoes to around 500 meters. Adjusted the spawns in Ballroom Blitz to create more safe spawn zones. Adjusted the boundaries in the 3rd sector of Verdun Heights, in Operation Devil’s Anvil, to prevent Defenders from stealing Attacker Elite kits. Adjusted the HQ boundaries and Elite kit placement in the 1st sector of Achi Baba, in Operation Gallipoli, to prevent Defenders from stealing Attacker elite kits. Adjusted the placement of Elite kits for Attackers in the 3rd sector of Achi Baba, in Operation Gallipoli, to prevent Defenders from stealing Attacker Elite kits. Increased the surrounding area in Heligoland Bight, so the big boats have more room to maneuver. Adjusted various elements of Volga River to balance Operation Red Tide. The Red Line flag in the 1st sector has been pushed back to a different, but nearby, location. The 1st sector’s boundary has been lined up with the Red Line trench, providing some additional protection for Attackers and clarifying the dividing line for the Defenders. An additional HQ has been added for Attackers in the 2nd sector. An additional tank has been added in the 2nd sector for Attackers. A Tank Hunter Elite kit is now available for Attackers in the 1st sector. A Flame Trooper Elite kit is now available to Attackers in the 2nd sector. Spawns have been adjusted across all sectors. Vehicle and cavalry spawns have been adjusted across all sectors. Adjusted various elements of Tsaritsyn to smooth out the increasing challenge as Attackers progress through the map, in Operation Red Tide. Defensive spawns have been pulled back in the 1st sector. Adjusted the A-flag capture area in the 2nd sector. Defender spawns have been shifted to account for the increased capture area in the 3rd sector. Adjusted various elements of Brusilov Keep to improve the balance and playability of Operation Brusilov Offensive. Removed the Artillery Truck from the map. Adjusted capture areas to provide more cover when contesting the point. Adjusted spawns to provide cover and adjust the advantages of forward spawns for Defenders. Attackers will now have two Putilov-Garford trucks for the 1st and 2nd sectors. Attackers will now have one Putliov-Garford truck in the 3rd sector. Moved the placement of the Defender Flame Trooper Elite kit in the 2nd sector, to prevent Attackers from stealing it. Defenders will now have access to a Tank Hunter Elite kit in the 2nd sector. Adjusted various elements of Galicia to improve the balance and playability of Operation Brusilov Offensive. Added planes for Attackers and Defenders in the 1st and 4th sectors. Removed the Flame Trooper Elite kit. Removed the Defender’s Tank Hunter Elite kit from the 1st and 2nd sectors. Enlarged and refined the capture area to help provide more cover. Fixed a bug where throwing an AT grenade at, or near, a supply drop in the Supply Drop game mode would cause it to explode. Fixed an issue where spectators could occasionally fly outside of the play space. RSP – Fixed an issue where some admins or VIP lists might be truncated after the bump to 50 players. RSP – Fixed an issue where queuing VIPs would not bump a player from the game (looking into addressing this for admins).